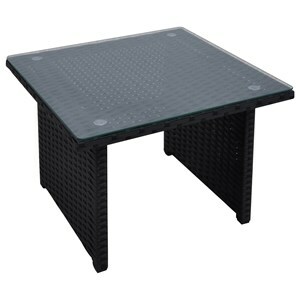 The 123 Metal Folding Table with Mesh Table Top by Poundex at Nassau Furniture and Mattress in the Long Island, Hempstead, Queens, Brooklyn, Bronx, Manhattan NY area. Product availability may vary. Contact us for the most current availability on this product. 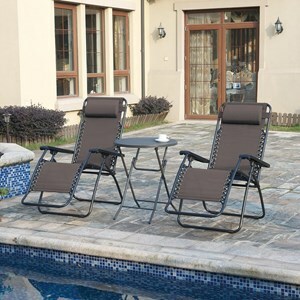 This relaxing set of outdoor furniture is perfect for lounging by the pool and enjoying the weather. The reclining chairs have padded pillow headrests and zero gravity seats. 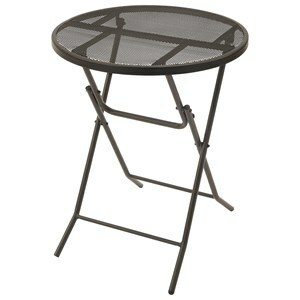 The bistro table is made of metal and folds for easy moving and stowing. 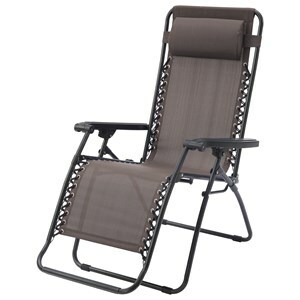 The 123 collection is a great option if you are looking for Transitional Outdoor Furniture in the Long Island, Hempstead, Queens, Brooklyn, Bronx, Manhattan NY area. Browse other items in the 123 collection from Nassau Furniture and Mattress in the Long Island, Hempstead, Queens, Brooklyn, Bronx, Manhattan NY area.